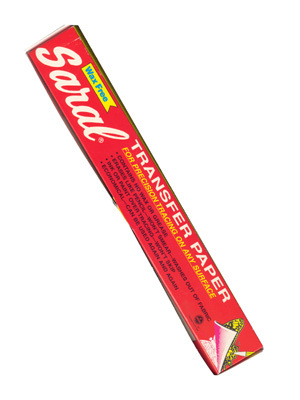 "Graphite Saral Transfer Paper - Similar to carbon paper but very erasable. Used to transfer design to cut and pierced lampshade. 12"" wide."